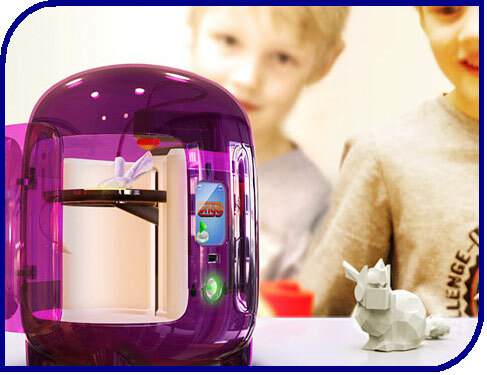 Comments Off on Could Origo’s 3D printer be the last toy your child will ever need? Could Origo’s 3D printer be the last toy your child will ever need? As children our imaginations were often central to our daily activities from crafting rockets and houses out of old boxes to creating characters with play-dough or simply sketching our ideas on paper, anything we could get our tiny hands on could be turned into something amazing, with just a bit of creativity. While many of us have lost this childhood ability, a lucky few have managed to convert this creativity into a career in design. 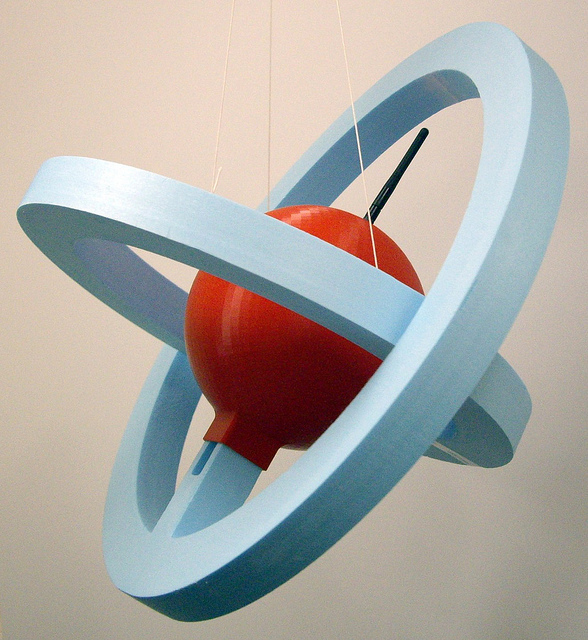 For designers 3D printing has become the modelling tool of choice. Impossible designs can be sketched up on 3D CAD software and converted to physical models within hours with the help of local Rapid Prototyping bureaus or desktop 3D printers. Nowadays children’s toys are becoming increasingly hi-tech with i-pods, mobiles and games consoles often ranking high on Christmas lists however one feature remains unchanged and that is the natural creativity of children. 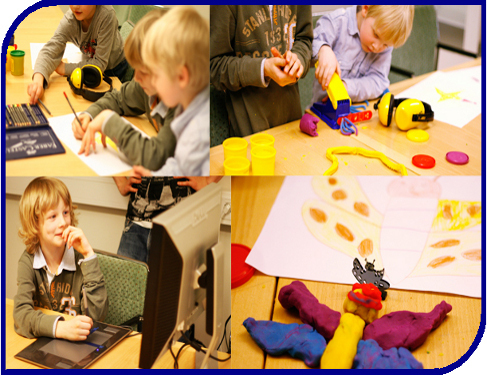 Enter Origo, a 3D printer suitable for use by children as young as 10 years old. Origo will allow children to print items about the size of a large mug or medium jar in a few hours. 3DTin allows 3D modelling using simple rules like "don't make anything thinner than two blocks"
One of central challenges faced by the project was the need for users of 3D printers to know how to create a 3D model in CAD, a challenge for even the most technically savvy adult let alone a 10 year old. This initial challenge was overcome thanks to the creation of 3DTin, a free online modelling tool that requires no installation and allows for 3D models to be design using individual blocks. Put in the hands of children at TEDxKids in Brussels this software was quickly adopted resulting in the creation of dozens of really cool products and most importantly a bunch of really excited children. Currently the project is still only in the design stages however the team are hopeful of taking the Origo printer from concept to production in less than eighteen months. Althought I might not have a ten year old of my own, the child in me looks forward to hearing news of a launch date, until then I guess I better start perfecting my 3D Tin design skills. Rapid Prototyping has broken into the fashion world thanks largely to the durability of Selective Laser Sintering materials such as PA Nylon. Previous 3D printed fashion collections such as footwear and dresses have been designed solely as haute couture experimental pieces, unavailable to purchase, however thanks to Consortium Fashion you can now purchase ready to wear SLS fashion in the form of the N12 bikini! Named after the material its made out of, Nylon 12, the N12 bikini has been made entirely by 3D printing with all fixtures and fastenings snapped together without any sewing. Innately waterproof Nylon 12 was selected as the ideal material, as not only is it strong enough to allow bending even when printed very thin (a minimum wall section of 0.7mm can be achieved) it actually becomes more comfortable to wear when wet. One of the goals of this particular circle patterning system is to allow for its application to any surface making the N12 bikini just the start. Future adaptation of this technology could allow absolute customization with bespoke articles of clothing created from a 3D body scan. While the N12 claims to be the first affordable 3D printed bikini, it will still set you back a little more than your traditional bikini with prices starting off at approximately £160 pounds for the top alone. For those of you with £1000 to spare you can get a bespoke fitted model designed around your body alone. 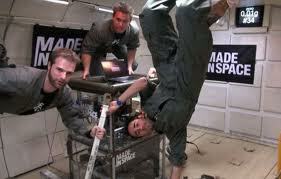 Comments Off on Ostrich inspired robot faster than the worlds fastest sprint runner! Ostrich inspired robot faster than the worlds fastest sprint runner! From jumping spider-bots, to self flying SLS herring gulls, the animal kingdom provides inspiration for a number of robotic creations, so little wonder scientists have decided to draw inspiration from one of the fastest creatures on two feet, the ostrich. This robotic project “Fast Runner” is a collaborative project between DARPA (the Defence Advanced Research Projects Authority), MIT and the Institute for Human and Machine Cognition (IMHC) aimed at creating a fast, light weight bi-pedal search robot that can transverse difficult landscapes. Only one year into the four year research project, stunning results have been demonstrated with 40% of the mechanical design complete, and one full-scale leg machined using Rapid Prototyping techniques. Designs for the rest of the robot’s body have also been prepared, with the final robot projected to weigh only 80 pounds and stand just over four and a half feet tall. Researchers estimate that the “Fast Runner” will achieve speeds of up to 27 mph, faster than Usain Bolt, the world’s fastest man! While these speeds have yet to be confirmed in final testing simulation has shown that the robot can go from a standing position to 20mph in as little as 15 seconds, along with demonstrating an ability to transverse gentle slopes. The appeal of this project for the DARPA lies in the military applications of Fast Runner as a ground based-drone capable of scouting ahead over rough terrain with no risk to military personnel along with the potential to support troops in war zones through the rapid delivery of supplies. When choosing a form of locomotion for their robotic creations, roboticists often draw on nature to inspire alternatives to the tried and tested tank like tracks or wheels. 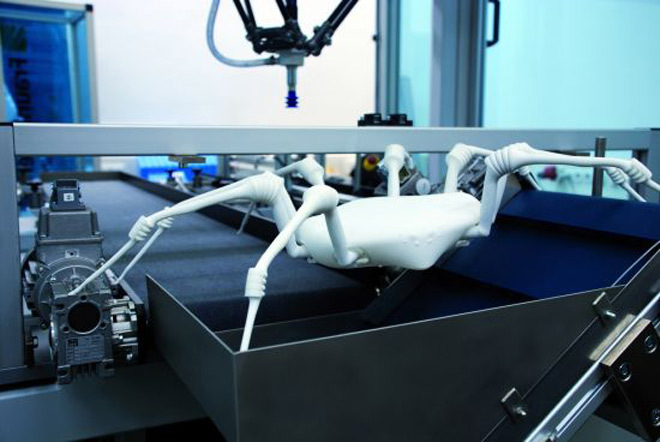 This is exactly where the team at the Fraunhofer institute have turned in the creation of their new eight-legged robot. 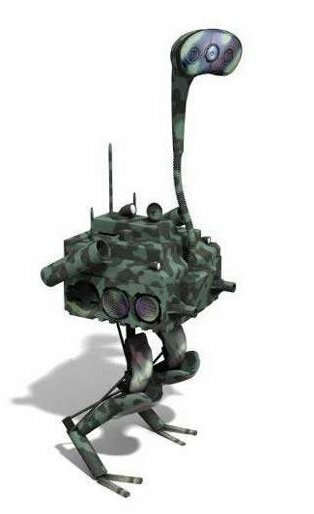 Agile and purposeful, the Spider-Bot can transverse hazardous environments and unstable ground. Like its biological counterpart, it keeps four of its eight legs on the ground at any one time, while the remaining four legs turn and ready themselves for the next step ensuring stability. Despite lacking muscles to stretch their long extremities, a number of spiders can jump, using built up body pressure to force fluid into their limbs to extend them and this principal has been applied to the Spider-Bot through elastic drive bellows that operate pneumatically to bend and extend its artificial limbs. Despite combining rigid and elastic shapes in a single component the spider-bot has been produced at low cost and with just a few production steps, thanks to the help of Selective Laser Sintering, the process by which thin layers of a fine polyamide powder are applied one at a time in thin layers and melted in place with the aid of a laser beam. The use of SLS allows for complex geometries, inner structures and lightweight components to be produced while keeping the costs and development times of the Spider-Bot low. The lightweight polyamide powder also ensures the end-product is lightweight. With the Spider-Bot body capable of carrying various measuring devices and sensors it is anticipated that future applications will include an exploratory tool in environments considered too hazardous for humans, or too difficult to get to. 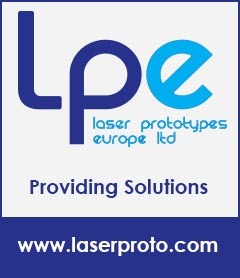 A prototype model of the robot will be on display at Euro Mold 2011 (Frankfurt) later this month. This Halloween if you’re looking for the scariest mask possible, forget about visiting your local costume store for the usual blood and fangs; instead get the team at That’s My Face to print you off a photo-realistic face mask. Become your favourite celebrity, impersonate your worst enemy or simply become your friend’s doppelgänger with a creepily realistic mask of their face. That’s My Face specialises in patent-pending technologies centred on transforming 2D photos into 3D sculptures and was founded by a PhD from the University of Cambridge. Using online facial analysis and reconstruction you can then adjust your 3D file to view changes in age, gender and race prior to purchasing your 3D mask. Fortunately the masks are not likely to fool any border guards or security systems, but this technology can be viewed as a proof-of-concept for realistic full-face masks based on photographs. Some commentators have suggested that with a few advancements in materials as well as 3D printing, this technology’s next evolution could take the form of non-permanent cosmetic surgery. For now thought this technology remains costly, with a life size mask costing around $300. It appears I might have to wait until 3D printing technology makes its way into our homes before I get a mask of my own! Comments Off on 3D printing community aim to rehouse homeless hermit crabs. 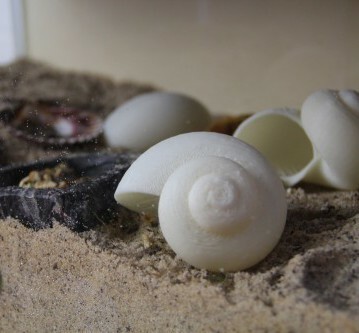 3D printing community aim to rehouse homeless hermit crabs. 3D printing could rehouse homeless hermit crabs. While the heading of this post may appear strange the creative minds at MakerBot Industries, manufacturers of do it yourself 3D printers, have devised a plan to tackle the growing threat to hermit crabs, the man-made housing shortage that threatens the entire species. The project known as Project Shelltor intends to utilize the Makerbot community’s design skills to design and produce shells for hermit crabs. Hermit crabs are born shell-less, therefore they must scavenge for suitable housing – usually a shell which will protect them from predators and provide suitable space for growth. Each spring a growth spurt causes them to abandon their home and once again begin the search for suitable housing, but a severe shortage of shells has forced hermit crabs to fight over inadequate housing such as bottle caps, aluminium cans and other bits of trash. Lead by Miles Lightwood, the “Shelltor project” challenges designers to create “crabitats”, shells created using a right handed helix that will accommodate the natural curve of hermit crabs bodies. While commentators have questioned the safety of this project, Makerbot insist that no shells have be placed into the wild (shells are intended for domestic use only, to avoid environmental implications from putting plastic into the sea) and a suitable non toxic material will need to be sourced to prevent the hermit crabs ingesting potentially dangerous materials (hermit crabs do ingest bits of the shell now and then). Made to last the Urbee's body panels were printed using additive manufacturing technology. Following 15 years of development, the worlds first 3d printed car, Urbee has made its debut in Canada. Only one prototype model exists to date but developers at Kor Kor Ecologic are hopeful that commercial manufacturing will begin by 2014. 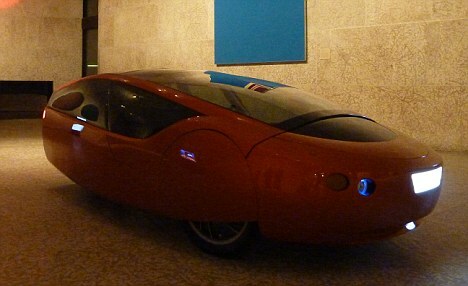 Built to last 30 years the Urbee, is one of the worlds most environmentally friendly cars running solely on renewable energy. Designed to achieve maximum efficiency with minimum input, the Urbee can achieve up to 200mpg on the motorway and reaches speeds of up to 70mpg on a mere 8 horsepower single cylinder engine. Underneath the cars unique body lies a steel chassis, which houses a petrol and electric hybrid engine. The car batteries can also draw charge from optional solar panels. The Eco credentials of the Urbee don’t stop there, with the cars entire body panels produced using a 3D printer! According to project leader Jim Kor, the use of additive manufacturing eliminates waste, only placing material where it is needed, with the ultimate goal of Kor Kor Ecologic to use fully recycled-materials for commercial production. It is also anticipated that the firm will produce a number of other parts using this additive manufacturing technology. This Kor Kor Ecologic claim will make it easier to repair the car, as parts can be printed at a local 3d printing facility. With extremely low fuel consumption and an estimated price tag of £10,000 – £33,000 the Urbee could revolutionise the automotive industry, but with the second prototype still to be developed and an estimated development cost of £610,00 the team at Kor Kor Ecologic still have a few challenges ahead.